Here are the answers to some questions we’re often asked. If your question isn’t here, please contact us! Yes! 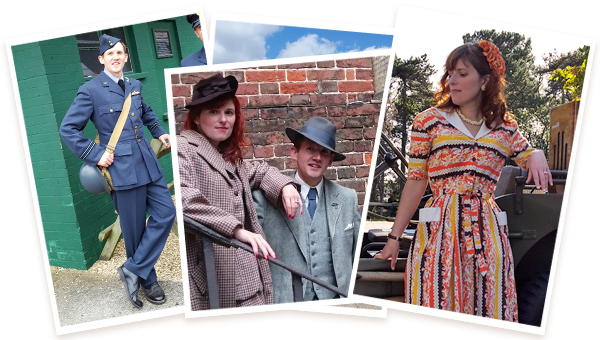 We always wear original 1930s/1940s clothing or very high quality reproductions. What style of dancing do you do? We dance the Lindy Hop. The Lindy Hop is the original authentic big band dance style, which both evolved from and incorporates Charleston. It can be fast and crazy or slow and sophisticated! Authentic 1930s-1940s music, plus swing music from other decades where requested/if appropriate for the event. Take a look at our 'Event DJ' page (under 'Event Hire') for lots more information about our music and sample playlists. The most important thing for us to say, is if you hire us for a 1940s event you will hear the music that was played in the 1940s. We will not play modern 'soundalike' versions or mix in music from the 50s/60s. We pride ourselves on getting it right. Do you play live music? We play pre-recorded music, the original recordings, not modern versions (unless requested). Unfortunately it would be unpractical for us to use a real record player due to often unpleasant weather conditions, the duration of time that we play for (we'd need to carry over 100 records!) and because we are so busy dancing/talking to the public we couldn't possibly be changing records over every few minutes. Is your sound equipment vintage? Yes and no! We used a modern/digital sound system, hidden within an original 1930s radio. This enables us to provide a huge range of music for events and at the volume you would expect/need for an outdoor venue. Our price is determined by how many hours/days we are needed and your location. We are based in South-West Hertfordshire and regularly travel to events around Hertforshire, London, Bedfordshire and Buckinghamshire. We also travel across England for vintage, public or corporate events. Am I able to book you for more than one day? Of course! Most of the events we participate in are two or three-day events. Depending on your location we will either return to base each evening, or require a secure overnight location to store the Jeep in. Can I book you for indoors events/without the Jeep? We are completely mobile and have a flexible setup to suit different events. For example: - Indoor events with our Jeep and/or trailer where there is a double-door opening and enough room to maneuver into position. 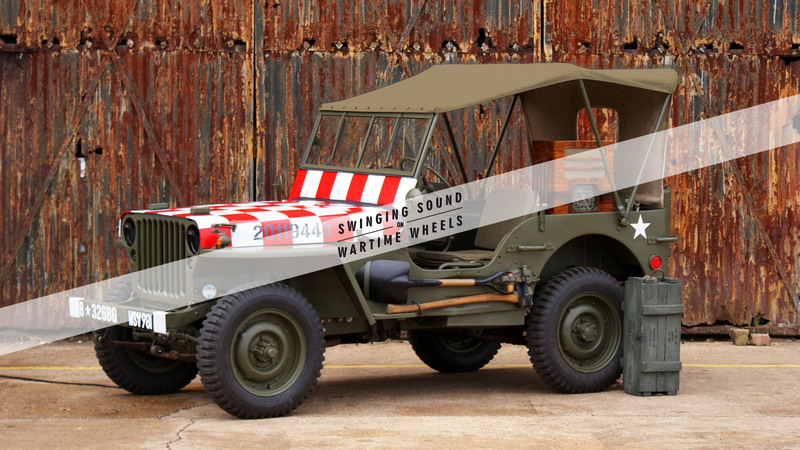 - Indoor events without our Jeep, using either our radio and sound system, or your own. - Events where you provide the music and we provide the dancing.